buffalo fur, old concho, trade beads, leather, etc. 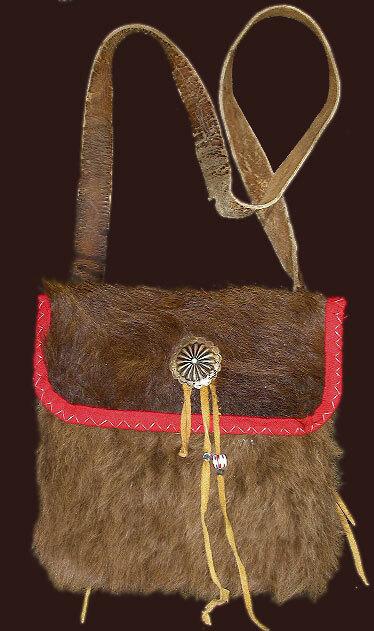 replica or real bear claw, black earth paint, glass beads and red trade cloth. The power of the Bear is seen its ability to walk softly. glassbeads, and red trade cloth. Pattern representing flight of soaring Eagle, freedom and passion.